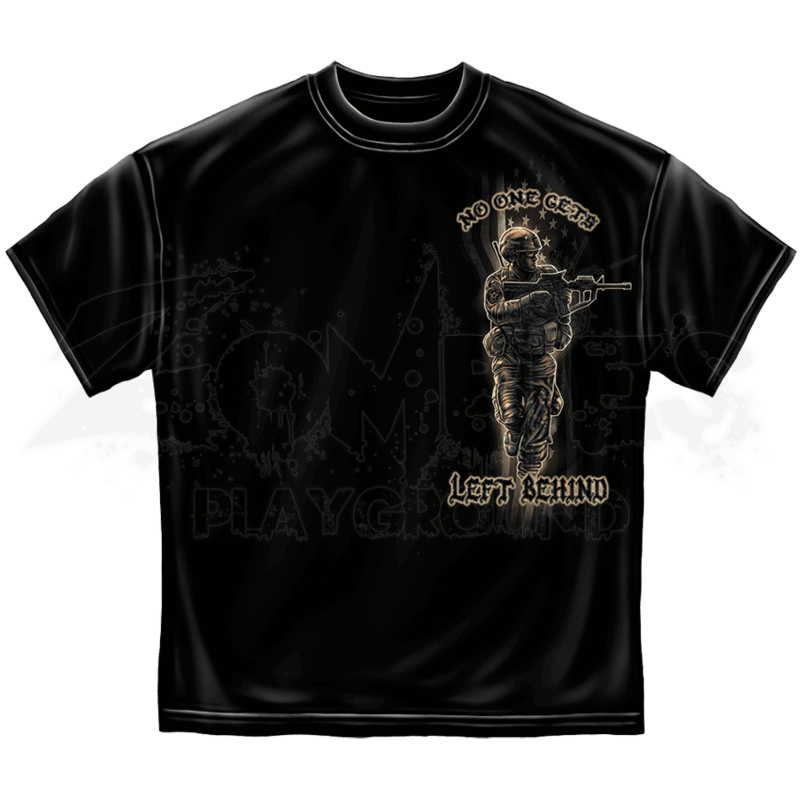 Emphasizing the strong bond between fellow members of the military, the US Army Brotherhood T-Shirt proudly displays the words NO ONE GETS LEFT BEHIND. Soldiers on a battlefield are featured prominently on the large back graphic, and the front graphic shows a single soldier with his gun aimed. 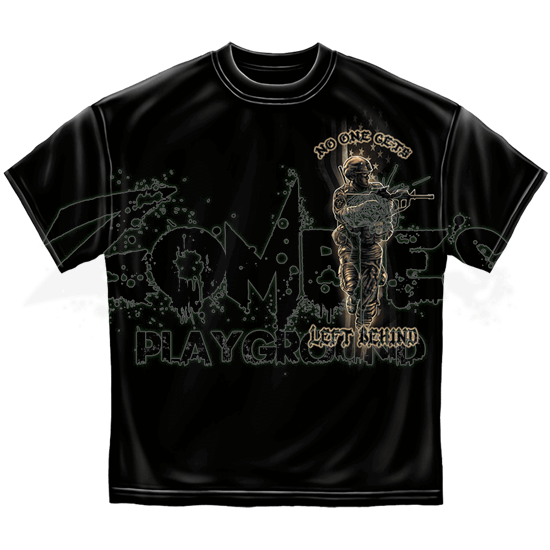 Made of 100 percent cotton, this black, pre-shrunk cotton t-shirt is ideal for incorporating your support for the troops into your everyday wardrobe. With its heavyweight construction, the US Army Brotherhood is a versatile and sturdy outfit staple great for displaying patriotism.